That might mean giving patients free Lyft rides to the doctor's office; connecting them with a food bank or footing the bill for home-delivered meals; or financing temporary housing. Medicaid programs in some states are requiring insurers to screen beneficiaries for social and environmental factors that could lead to poor health. While the concept of social determinants and how they affect health outcomes has been understood for years, the way some innovative health insurers and other organizations are helping patients with unmet social needs has evolved beyond isolated pilots or community benefit dollars to addressing those factors in a sustainable, scalable way. Insurers have stepped up these efforts as they take care of broader populations and strike more value-based payment arrangements with providers. Government payers are also forming policies and implementing programs that give insurers more flexibility to address social determinants with federal funds. “If what we are paid is based on the outcomes we are able to produce, it begins to shift the focus and realization that … we need to begin to make investments in those issues that while not traditionally healthcare-related, have such a huge impact on health,” said Dr. Richard Seidman, chief medical officer of L.A. Care Health Plan, a Medicaid managed-care plan. Plenty of challenges remain in figuring out how much and how best to invest to meet those social needs, but there's a growing awareness that payers that fail to appreciate the context of a patient's life will have a hard time controlling medical spending. It has become a financial imperative. Because of coverage expansions under the Affordable Care Act, health plans and providers are taking care of millions more people, many of whom are costly. Healthcare spending now totals more than $10,000 per person and reached nearly 18% of the U.S. gross domestic product, according to the CMS. Payers and providers are entering into value-based payment models where hospitals take on more financial risk for a particular group of patients and are dinged by the CMS for high readmission rates. Moreover, the research demonstrating social determinants' impact on health outcomes is piling up to a point where the healthcare industry can't ignore it. Federal policies allowing government payers to pay for more services outside of the hospital or clinic are removing a disincentive not to do so. Experts say health insurance companies are leading the way because they have the most at stake financially and the tools to steer patients to certain services. “I can't think of a single health system or health plan I've talked to in the last two years that wasn't interested in doing work in this space,” said Dr. Trenor Williams, CEO of Socially Determined, a company that uses data to help organizations build programs to address their patients' social needs. Still, many organizations have yet to integrate social determinants into their value-based contracts and population health strategies and instead have approached patients' social needs through community benefit operations, Williams said. A 2017 survey of health plan executives found that 80% are promoting value-based care through a focus on social needs, according to analytics company Change Healthcare. But those initiatives vary in scope and success. Most often, insurers are identifying members' needs and then linking them with outside organizations that can meet that need, sources said. Some are investing benefit dollars in the communities they serve to build safer playgrounds or support local affordable housing initiatives. A few organizations are experimenting with ways to invest in social determinants in a way that is scalable and sustainable long term. That's something the Blue Cross and Blue Shield Association is working on through an institute it launched in March. The Blue Cross Blue Shield Institute is testing whether it can improve access to transportation, food, pharmacies and fitness centers in a sustainable way by treating it like a business instead of a philanthropy, said Dr. Trent Haywood, chief medical officer of the Blues association and leader of the institute. The first step is contracting with ride-sharing service Lyft to give patients rides to the primary-care doctor's office in hopes of reducing trips to the emergency room. The local member plans will pay for the Lyft rides. Next, the institute will partner with a national grocery store chain to give consumers in food deserts access to healthy meals. It hasn't yet announced its grocery store partner. North Carolina has a similar goal in mind in overhauling its Medicaid program. The state is slated to transform its fee-for-service Medicaid program into one in which the state pays managed-care and provider-led organizations a set amount of money per month to take care of beneficiaries. The plan is pending federal approval. In doing so, state officials would prioritize patients' social needs to improve health outcomes. It will require insurers contracting with the state to screen each of North Carolina's 2 million Medicaid beneficiaries for unmet social needs, including access to food, stable housing and transportation. The state is also developing a free resource database that providers and payers would use to refer patients to organizations that can help address those needs, and then provide follow-up. North Carolina is also asking the CMS for $800 million to run regional pilot projects to find out which interventions would best lower costs while helping beneficiaries. “We need to scale the thing that moves the needle but can be the most efficient, least expensive type of intervention,” said Dr. Mandy Cohen, secretary of North Carolina's Health and Human Services Department. 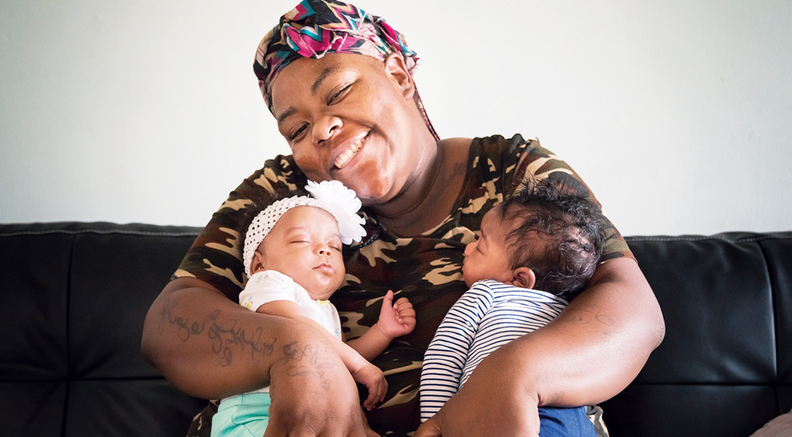 Medicaid, which serves some of those most vulnerable to social and environmental determinants, has acted as a testing ground for many initiatives that connect clinical and social needs. Like North Carolina, many states with Medicaid managed-care programs are asking insurers to include in their bids how they plan to address social determinants. “A lot of times the bidders aren't competing over a price anymore; they have to distinguish themselves on innovation and quality programs and states are giving them flexibility,” said Dr. Sandeep Wadhwa, former Colorado Medicaid director who is now the chief health officer and senior vice president of government programs at Solera Health. Through Section 1115 waivers, states like Oregon and Colorado have reformed their Medicaid programs to integrate physical and behavioral care and social services. Oregon's model has seen some success, with early reports showing the states' coordinated-care organizations reduced inpatient hospital use, avoidable ER visits and total costs. And according to a 2018 Kaiser Family Foundation report, 19 states required Medicaid managed-care plans to screen for or provide referrals for social needs in 2017. But the report noted not all communities have the capacity to address those beneficiaries' needs. While it's commonly believed that the social and environmental context of a person's life affects how healthy they are more than the care they receive at a hospital, there's no tried and true playbook for how the healthcare system can address those factors. Providers know how to reduce hospital-acquired infections, but ensuring a group of patients always has access to nutritious affordable meals brings a whole new level of complexity. “I don't think we really know what the right food intervention is, for example, for a particular population, so I'm hoping to build that evidence base” through the regional pilots funded by the CMS, Cohen explained. More research and some bold experiments will help change that and give plans a better understanding of where and how to invest their resources to get the best return for the plan and patients, said Seidman of L.A. Care, the largest publicly operated Medicaid plan in the U.S., which serves more than 2 million beneficiaries in Los Angeles County. Seidman said health plans can play a role without bearing all the costs. L.A. Care first leverages existing government programs, such as the state's CalFresh, which helps low-income residents buy healthy foods. The health plan also refers beneficiaries to community-based organizations, and lastly invests its own dollars to beef up services in the community. For example, L.A. Care is helping to support a state-funded three-year pilot project to deliver medically tailored food to 1,000 congestive heart failure patients in Los Angeles. The goal is to show that nutritious meals will translate to reduced readmissions and ultimately, change healthcare policy so that meal delivery is a reimbursable expense for insurers. And in April, L.A. Care also said it would commit $20 million over the next five years to support a local not-for-profit in securing permanent housing for Los Angeles' homeless. The other major government payer, Medicare, still doesn't pay for services that aren't directly related to clinical care. But Medicare Advantage, the privatized version of the fee-for-service program, will have the flexibility to pay for services that address some of those social drivers of poor health starting in 2019. Supplemental benefits have historically included dental, vision and hearing benefits. The CMS in April broadened the scope of Medicare Advantage supplemental benefits to include services that diagnose, prevent or improve health conditions, or reduce the use of emergency care. Plans could offer non-emergency transportation to medical appointments, or help a beneficiary install a wheelchair ramp at home, for instance. The rule change, which came from the Chronic Care Act legislation enacted as part of the Bipartisan Budget Act of 2018, is a big deal. It marks the first time Medicare recognized that “anybody who is accountable for paying for healthcare is essentially shooting itself in the foot by ignoring the social drivers of ill health,” said Dr. Diane Meier, president of the Center to Advance Palliative Care. That extra flexibility comes as the CMS increases what it pays Medicare Advantage plans. Plans received a 3.4% rate increase for 2019, giving them even more incentive to sweeten their benefit packages. But the biggest changes will come later, after plans have had time to come up with new supplemental benefit designs, said John Gorman, a consultant to Advantage plans. “I think you're going to see an explosion in 2020,” he said. Health insurers are ready to take advantage of the extra leeway. In recent calls with investment analysts, officials from UnitedHealthcare and Humana suggested they will expand their benefits in response to the CMS' announcement. “There's no question we are going to go after that” extra flexibility, Dr. Mark Leenay, WellCare Health Plans' chief medical officer, said in an interview. Medicare Advantage covers more than one-third of the 56 million people enrolled in Medicare. Sources hope that the data gathered by the plans as they begin to offer new benefits will help make the case for traditional Medicare to offer that same flexibility. Despite the desire among health systems and insurers to do more to address social determinants, they face challenges beyond payment rates that threaten to roll back progress. Certain federal and state decisions that experts say weaken insurance markets and make it harder for people to access health coverage raised another hurdle for patients needing help with transportation, food or housing access, said Samantha Artiga, director of the Disparities Policy Project at the Kaiser Family Foundation. The zeroed-out individual mandate penalty and the expansion of short-term insurance plans and association health plans are likely to increase individual premiums on the ACA exchanges next year, which could lead some people to drop their coverage. Moreover, coverage losses in states considering adding work requirements to the Medicaid program would prevent some of the most low-income and vulnerable from benefiting from state initiatives to fix gaps in care related to social factors.